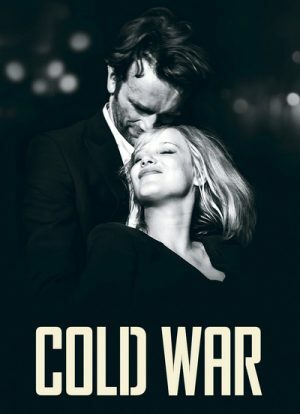 • The Sound of Cold War - in this featurette, director Pawel Pawlikowski and composer and piano virtuoso Marcin Masecki discuss the narrative structure of Cold War and the use of music throughout the film. There are particularly good comments about the different type of arrangements that were done, as well as some of the digital tricks that made it possible for Tomasz Kot to do the crucial music scenes. In English, not subtitled. (9 min). • Behind the Scene - in this featurette, director Pawel Pawlikowski discusses the production of Cold War and his very close relationship with Lukasz Zal, as well as his work with Joanna Kulig and Tomasz Kot. Also, the director addresses the nature of the story that his film tells and the period environment that is recreated in it. In English and Polish, with English subtitles where necessary. (14 min). • Lyric Video - presented here is the lush night club track that Joanna Kulig's character, Zula, sings in the film. With English text. (2 min). • Behind the Music - in this short interview, director Pawel Pawlikowski discusses the important role that music has in Cold War. In English, not subtitled. (2 min). • Trailer - an original theatrical trailer for Cold War. Music only, with English text. (2 min).